With over $1.2 billion in assets under management, D. L. Evans Bank is one of the leading banks in Idaho. However, before using an ECM system, the firm’s large customer base required using an excessive amount of paper that needed to be routed between multiple branches and the head office. Today, this process has been automated and made paperless with Laserfiche Workflow. The paper form has been replaced with a fillable PDF. Now, when the customer reports a lost or stolen credit card, the customer service rep opens the PDF and enters the account number. 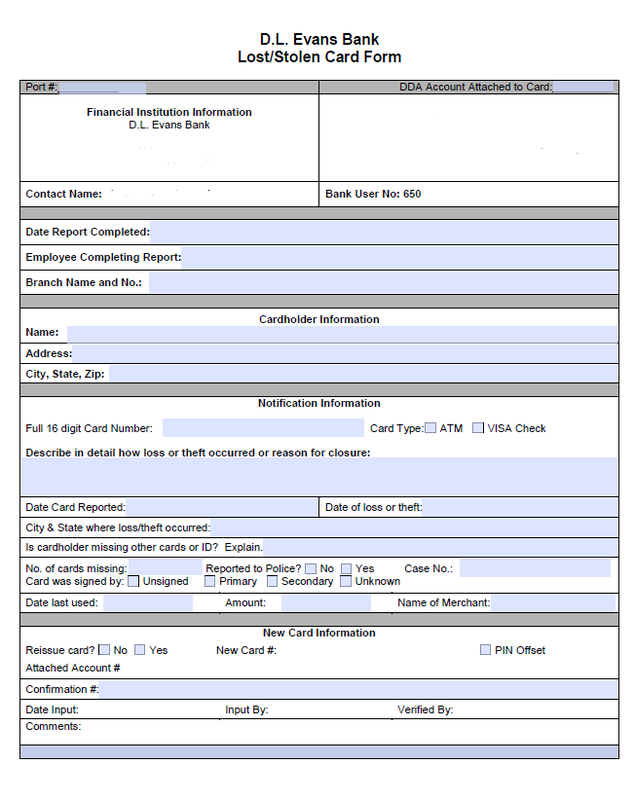 The customer signs the form electronically and the form is saved in Laserfiche where it is processed by Laserfiche Workflow and routed to the appropriate departments for approval. 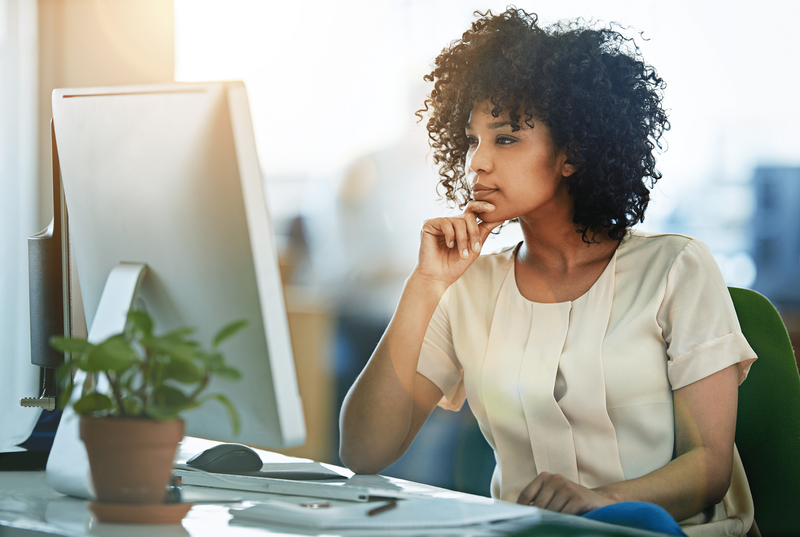 Laserfiche Workflow monitors this process, enters all pertinent information into the BancVue CRM and generates the corresponding email notifications. Populates the remaining fields in the form with information from the CRM. Automatically creates the service ticket in the CRM. Emails the branch operations executive assistant a link to the file in Laserfiche, so she can verify that all documentation is in order. She can then either accept or deny the application. Accepted applications: An email is sent to the credit card department, which can either accept the application for processing or deny it. Denying the card triggers an email notification to the customer service representative and closes the ticket. Denied applications: An email with an explanation is sent to the customer service representative, and the ticket is closed. Automatically updates the service ticket in the CRM. 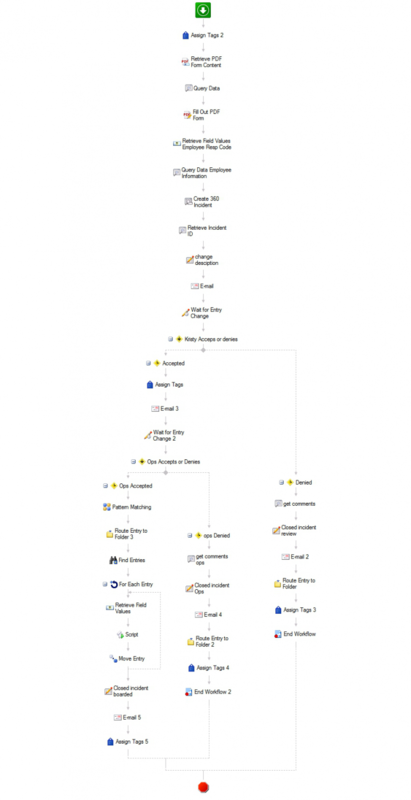 Routes the form to the finalized storage location in Laserfiche. 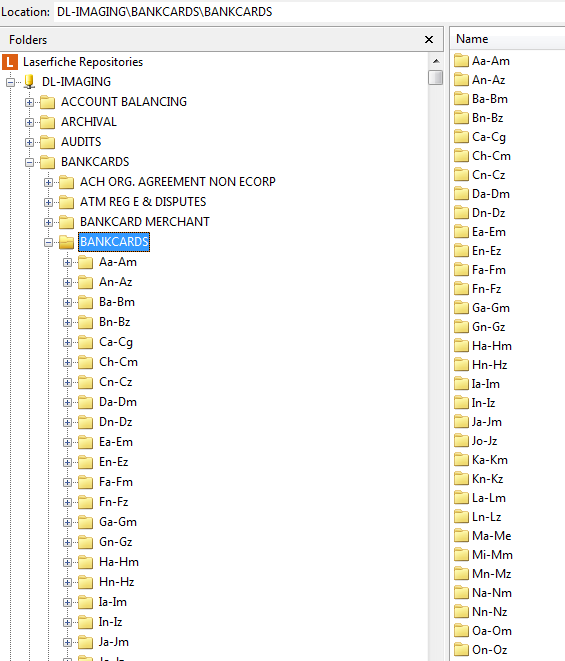 Lost/stolen credit card documents are stored in the Bankcards folder by customer name. Sends an email to the customer service representative with a link to the finalized document. The customer service representative can then notify the customer. Audit time has been reduced from six weeks to two weeks since all documents are available directly in Laserfiche. Credit cards are issued in a much more timely manner, since information no longer needs to be faxed back and forth. Customer service has improved because a customer service representative can quickly retrieve a document or copy of signature directly from Laserfiche, without having to get it faxed from a different office. Would you like to see how Laserfiche helped other organizations improve customer service? Download a complimentary copy of Quicker Better Safer today.